Ever since its establishment in 1991, the Faculty has devoted to the provision of comprehensive education to nurture generations of students, and the advancement of engineering and scientific knowledge through cutting-edge research. Today, the Faculty has grown far more than anyone anticipated. It has over 120 professoriate staff, 3,500 students, 16,168 alumni, and offers 9 undergraduate programmes that address the ever-changing needs of society. We continuously improve our teaching and research, and strive to offer the most for teachers’ and students’ innovation and ideas to grow. One belief that has been unwavering is the Faculty’s irreplaceable role to play in scholarship, research and education. We have faith that a scholarship is not only an investment in young Engineering talents but also an invaluable opportunity for them to fulfill their dreams and goals in learning. In hopes of benefiting more students to excel, you are invited to make a named donation in support of their academic learning and development. By donating HK$50,000 or above, a named scholarship can be set up (either individual or organization), which allows us to support students at $10,000 each based on the assessment criteria specified by you. 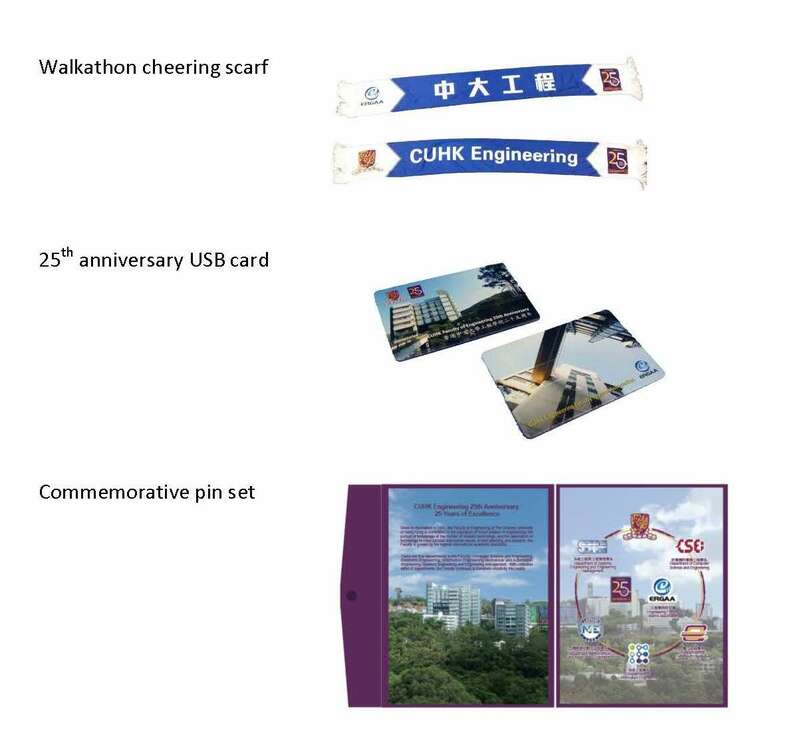 CUHK Engineering Faculty Alumni Association (ERGAA) has been wholeheartedly engaged in mentoring students and fostering students’ whole-person and career developments. On the occasion of the Faculty of Engineering 25th anniversary, we are proud to announce the launch of Engineering Faculty Alumni Association Scholarship Fund to provide scholarship support to engineering students. Your generous donation is the foundation of engineering education. Join the Alumni Fundraising Walkathon on 8 October 2016. **By donating HK$550 or above by 30 September 2016, a complimentary seat will be reserved for you as a token of gratitude to the donor.